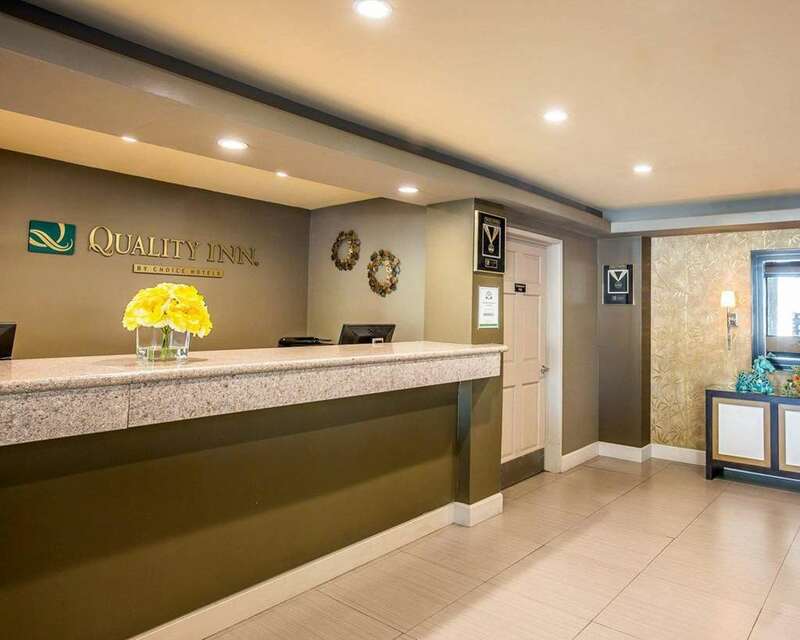 The Quality Inn Ontario Airport Convention Center hotel Ontario, CA gives you real value with peace of mind. Were close to Ontario Airport with free airport shuttle. Ontario Convention Center, Auto Club Speedway, Citizens Business Bank Arena and Claremont Colleges are nearby. Enjoy our amenities that include free hot breakfast, free WiFi, an outdoor pool and a hot tub, restaurant, guest laundry, valet cleaning and a business center with a meeting room, copy and fax. Each inviting guest room features a refrigerator, TV, coffee maker and Q Bed with a premium mattress. Also, earn rewards including free nights and gift cards with our Choice Privileges Rewards program.